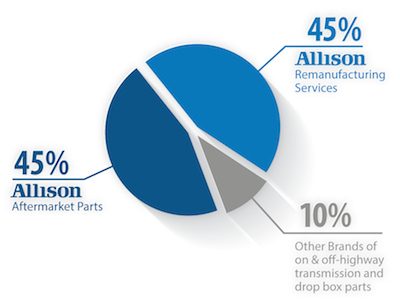 For over 30 years our specialty has been restoration of Allison transmission hard parts. 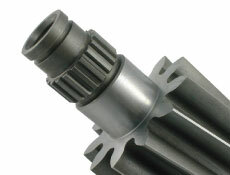 Our founder, Jack Bailey, combined his skills as a machinist with his experience as a manager of an Allison transmission rebuilding department to create Trans Machine, a unique company with an understanding of Allison transmissions as well as machining processes required to restore their components to original specifications. Trans Machine is located just 30 miles west of Chicago. Our remanufacturing and new manufacturing services are combined in one state of the art 25,000 square foot facility, and our highly-skilled machinists produce 99% of the products we sell. At Trans Machine, our mission is to provide top-of-the-line parts that build your customers’ confidence in what we do. Our group of loyal customers includes – equipment end users, parts distributors, independent transmission rebuilders and authorized Allison dealers worldwide. But we are more than a traditional manufacturer. Call us to explore all the ways we can take your existing Allison transmission parts and restore their value or even add value to them. For more than 30 years we’ve been providing quality manufacturing and restoration of heavy duty automatic and power shift transmission parts. We’re happy to be your partner in success and look forward to helping you maintain your great reputation.